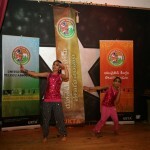 On the Saturday,09-Mar-2013 UKTA (UK Telugu Association) organised their second “Telugus Got Talent” a talent show. 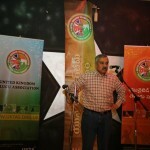 UK Telugu Association (UKTA) is a non-religious, non-profit organization that encourages Telugu speaking people around England to actively participate in the progress of the community that defines their identity. 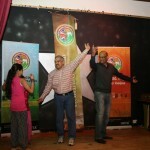 Every year UKTA organises TGT, this year also as per plan it was organised by UKTA members at Ilford Catholic Club, 324 High Road, Ilford,IG1 1QP, Essex. It was a free event. 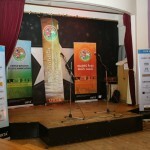 The program started just after lunch the delicious food was served by Sri Rathiga Restaurant. 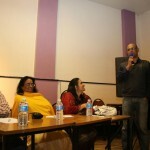 Mr.Shravan welcomed everyone and thanked Mr. Raj Rajmohan, the restaurant owner of Sr Rathigs Restaurant. Mr. Prabhakar Kaza ex-President of UKTA and one of the founders of UKTA announced that everyone will have a price and reminded that its not a competition but talent show. 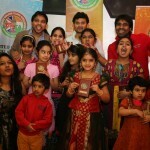 Many children were singing religious songs in the traditional way without any issues. 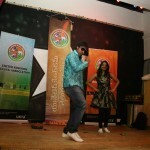 The children were awesome by showing their talents. 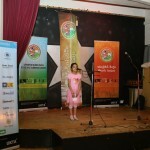 Absolutely fantastic performance by every children who participated in the event including dance and singing. Three judges Prabhakar Kaza, Geetha Chari- Kaza and Bhanu Sistla were giving positive comments about the children’s performance. Once when two of the little children who danced have been asked by Mr. Shravan Lattupally to teach someone from the audience few steps, and the girls thereby chosen Mr. Prabhakar Kaza to dance. The children taught the steps and Mr. Kaza took it sportively which everyone enjoyed watching. Suman Rudru , Cherry Naidus and Mounica Bojja gave a fantastic performance by dance and singing, the entire audience enjoyed the show! Suman Rudru is going back to India to act in Tollywood movies from April this year. 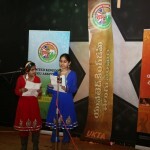 UKTA encourages the Telugu community people in Britain to come forward and participate in the events arranged by them. The event was supposed to start at 12:00, but for some reasons it started just before 2PM and finished at 5PM as per schedule. 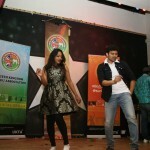 It was a free event and very well organized by the members. 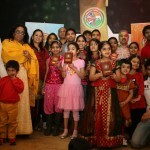 UKTA has been very active amongst many South Indian associations in Britain.